Have you heard about Jump on it July? With a qualifying purchase you can get either the July stamp of the month for FREE or any one of the Hostess Rewards sets from Annual Inspirations or Seasonal Expressions 2 for just $5.00. I couldn’t pass up playing with the Cuddly Salutaions stamp set just one more time. The cute line drawn animals and speech bubbles are just perfect for coloring in with the ShinHan markers. Instead of using B&T I chose to use the Basics Paper Fundamentals for a gradient monochromatic look. Make sure you take a minute to visit my webpage where you can join my mystery hostess party and shop for any supplies you might need or just add a cute new stamp set to your collection. 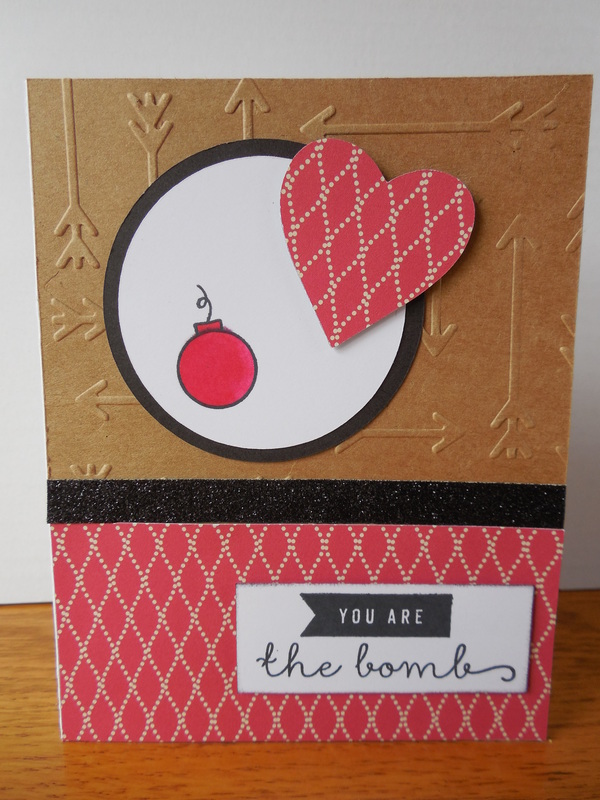 Welcome to the “You’re the Bomb” Blog Hop! 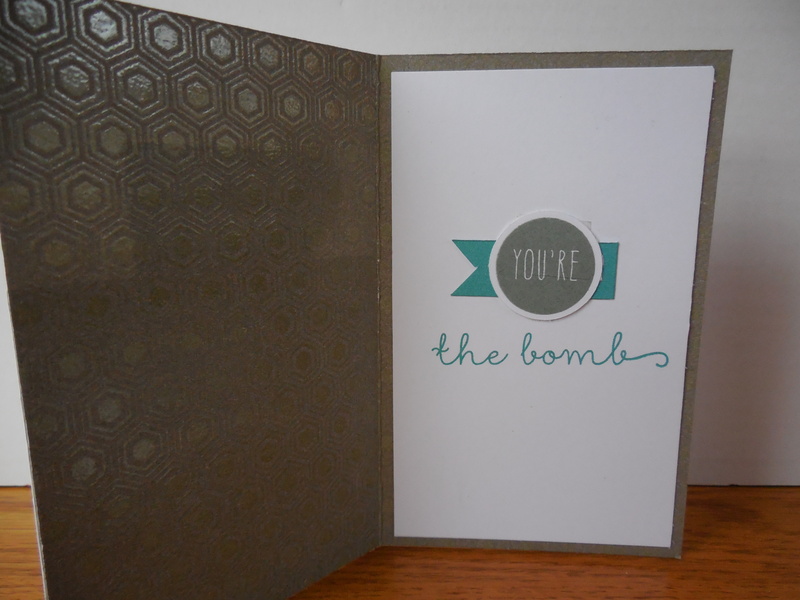 We are featuring Close to My Heart’s “You’re The Bomb” My Acrylix Stamp Set. 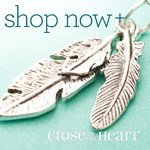 If you have come here from Donna Digby’s Blog, you are on the right path! The blog hop is a great big circle, so you can start here and work your way all around. 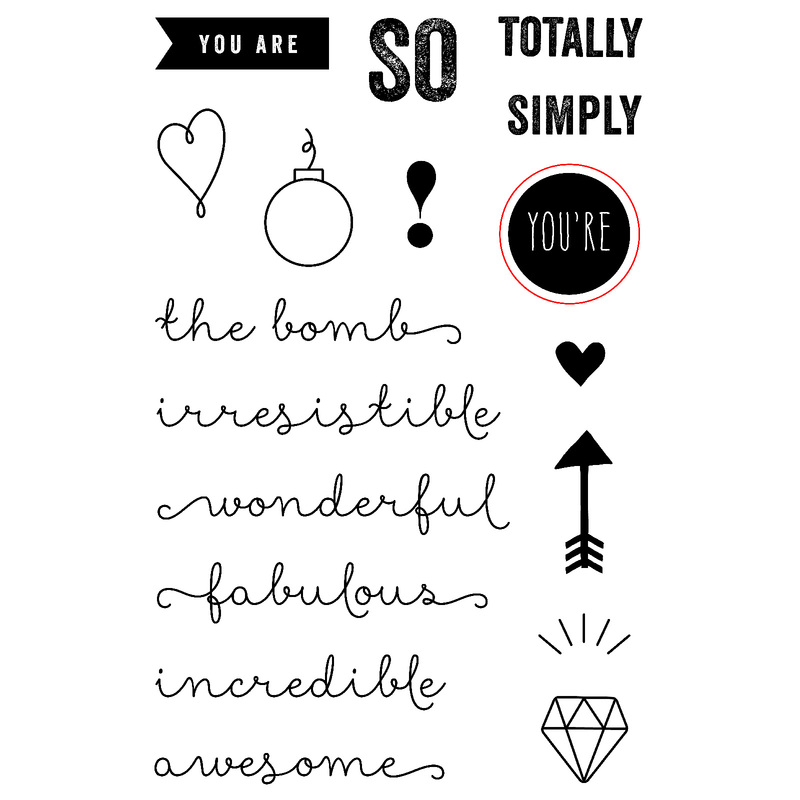 We are the consultants that bring you the monthly Close to My Heart Stamp of the Month Hop and this time we have 20 consultants bringing you fabulous ideas to use with “You’re the Bomb”. This stamp set is a special stamp set for Operation Smile and $3.00 from each set sold will be donated to Operation Smile by Close to My Heart. Blog Hopping is simple to do – just click on the link at the end of the post on each blog to move to the next one! I LOVE this stamp set…I’ve used it for scrapbooking and card making! 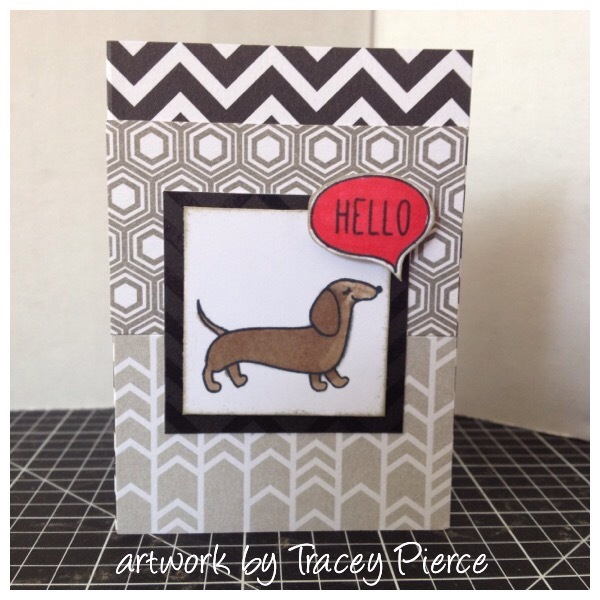 I had two ideas running around in my head…my first card was inspired by this one I saw on Pinterest. I started by running the Kraft Cardstock through the Big Shot with the new Arrow Embossing Folder I then cut my circles and heart from the Retired Free to Be Me B & T (gotta use up this stash that’s out of control). I then stamped the bomb and colored it in with Shinhan markers. 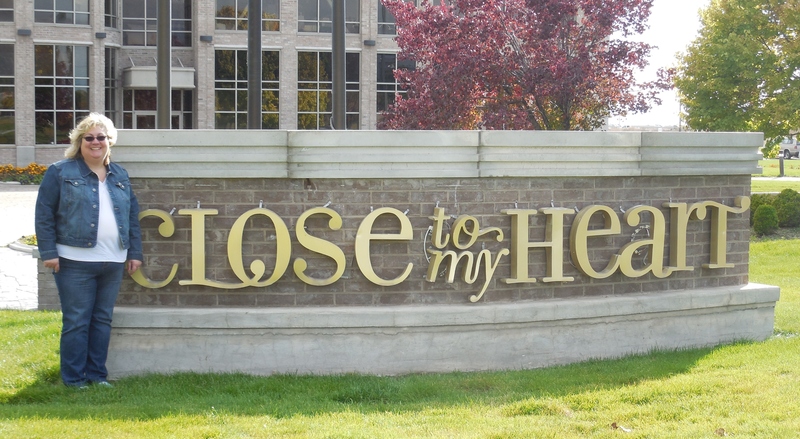 I used the thin foam tape to pop up both the heart and the sentiment. For my second card I wanted something completely different. This is a small card just 3 X 4.75. I started by stamping all of the words randomly in Whisper Ink on a 3 X 3 piece of White Daisy cardstock which I then layered onto a piece of Slate from the Basics Paper Fundamentals. 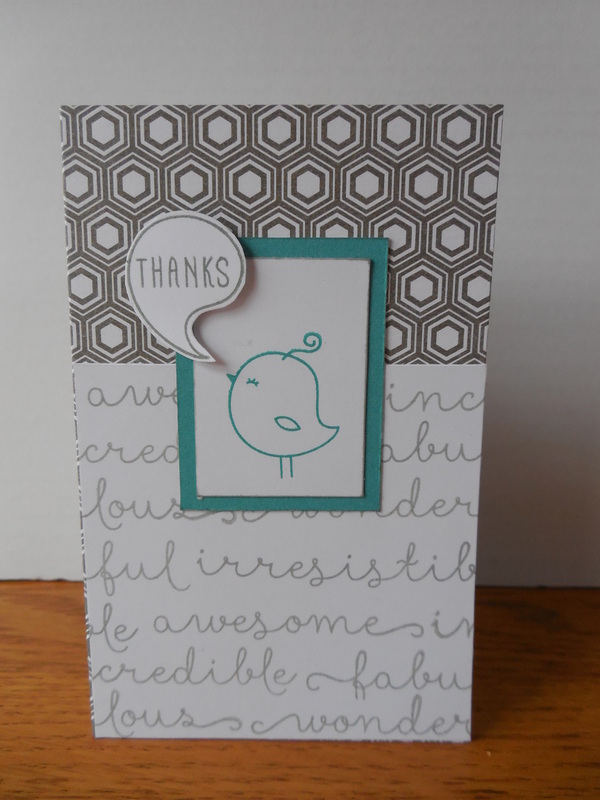 I had a scrap of Lagoon cardstock close at hand so I decided it would be my accent color (I think I want a wall this color), I haven’t used the Cuddly Salutations Stamp set much, but thought the cute bird with the thanks bubble would be a fun addition. I used thin 3D Foam Tape just under the bubble to get a little dimension. For the inside I started by just stamping the sentiment, but it looked too plain so I cut a quick circle from the cricut and stamped YOU’RE in Slate Ink and placed a little flag under it cut from the last of my lagoon scrap. You can also see some of my additional artwork here and here. Now “Hop” on over to Gina Brandstetter’s Blog to see her work! Be sure to visit all the Consultants at their Blogs to get some great crafting ideas and other fun ideas! Remember, this stamp is only available through the end of March you can place your order for it here or contact your Close to My Heart Consultant.